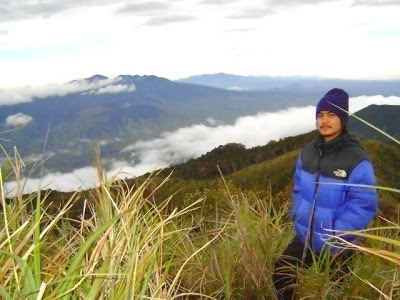 The renowned Northern Mindanao explorer Mijan Pizarro, now of the Bukidnon Mountaineering Club shares with us the “next destination” in the Kitanglad Range after the giants Dulang-Dulang and Kitanglad. Behold Mt. 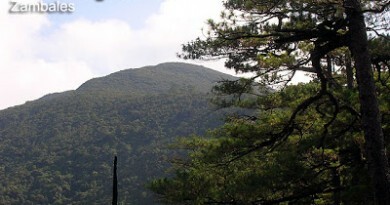 Maagnaw, the third highest peak of the range and the eighth highest mountain in the Philippines. 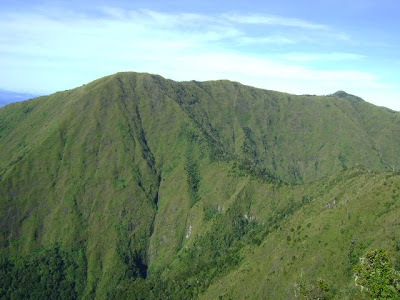 First summitted on February 2009 by Pizarro, Jangulan, and the High Conquerors Mountaineering Club , Maagnaw is the 9th of the 10 Highest Peaks in the Philippines to be summitted and documented; leaving only Mt. Ragang in Lanao del Sur as both unexplored and undocumented. Maagnaw was also part of the “Triple Traverse” that Pizarro led as his 24th birthday climb in November 2009. Mt. Maagnaw shares the ethnocultural heritage of Kitanglad and Dulang-Dulang, being part of the ancestral domain of the Talaandig tribe. As in D2 or D2k climbs, a ceremony has to be performed in which a sacrifice of chickens would have to be made before the climbing party will be allowed to proceed. This ritual ceremony is often held the night before the climb. Also, Maagnaw shares the rich biodiversity of the Kitanglad Mountain Range – said to be one of the final bastions of the Philippine Eagle, among other endemic species. The climb proceeds in Sitio Bul-ogan in Lantapan (same jumpoff as Mt. Dulang-Dulang) and, after open trails, passes by a forest. The campsite in this forest is called Panginoma, which means “To drink” in the native tongues; there are lots of water sources around the campsite. 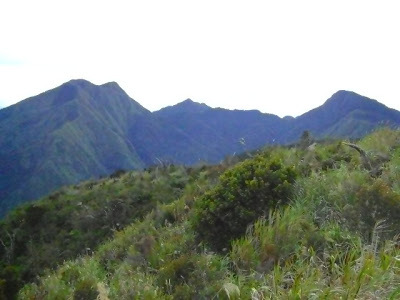 Then beyond the campsite, the trail passes to Langkayugan Ridge and finally to the summit of Mt. Maagnaw. This is, of course, easier said that done: as of now given its exploratory nature, Maagnaw is given a rating of Difficulty 9/9. 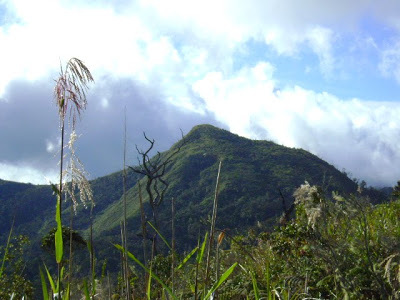 At the summit, the views of the Kitanglad range and other peaks are expansive and breathtaking. Interestingly, from the summit you can view tribal camps whic are resting areas of the Talaandig hunters to catch wild animals. In the photo gallery below Mijan Pizarro shares the pictures of various peaks as viewed from Maagnaw. 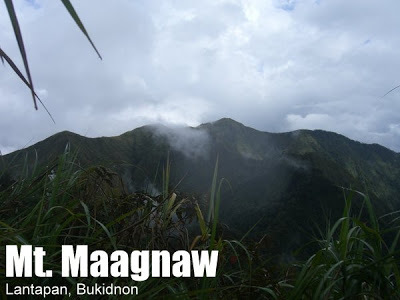 Truly Maagnaw is a reason for veterans of D2-Kitanglad to come back to Kitanglad, and along with the other unexplored summits of the range, it is proof that there is still much to expect from the highest mountain range in the Philippines. For assistance in securing guides and DENR permit, you may contact the explorer Michael Jan Pizarro at 09186352729. Otherwise, you can also contact the DENR PAMB for Mt. 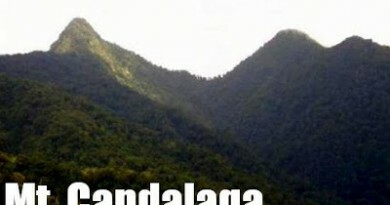 Kitanglad Range Natural Park based in Bukidnon. Guides are very necessary for the climb. For the first few explorations, Lito Saway was the local guide; the current rate is P350/day. Considering that the area is within the Talaandig Ancestral Domain, their indigenous laws are somewhat applicable even for visitors; their customs and practices must be respected at all times. If they advise you not to go ahead with your climb, do not hesitate to defer. Water sources are available at Panginoma and Langkayuygan campsites. Cellphone signal however seems to be limited to the Langkayugan campsite and open areas above it. 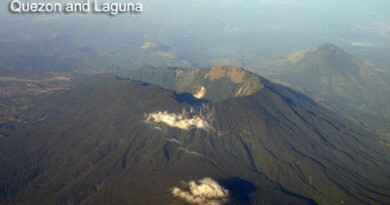 Langkayugan Range must be crossed before reaching the summit of Mt. Maagnaw. The summit of Mt. Maagnaw viewed from the trail approach. 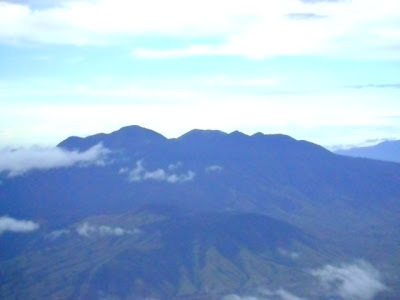 The twin giants, D2 and Kitanglad, viewed from the summit of the third giant Maagnaw. 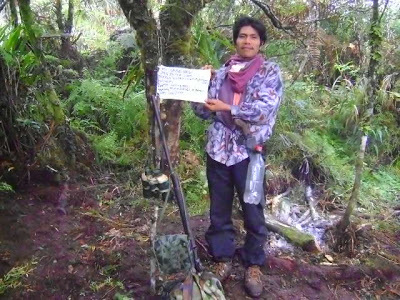 Lito Saway is the local guide for the earliest expeditions up Mt. Maagnaw. GPS and altimeter readings from the earliest expeditions have registered above the 2800+ masl. This, plus other new data, may support a review of the Top 10 highest mountains in the Phhilippines. PinoyMountaineer.com thanks Mindanao explorer Mijan Pizarro for sharing his first-hand knowledge on Mt. Maagnaw so we could build an entry for the mountain. 8 Comments on "Mt. Maagnaw (2,742+)"
mga sir,, post ko na, para makapag abang na kayo ng seat sale..
Dec 1 arrival in Cdo, dec 2-6 climb date, Dec 7 onwards uwian na..
Abang abang na ng seat sale. kailan po ba climb na yan?